LAS VEGAS, NV – 24 APRIL, 2018 – Today VRX Simulators announce a partnership with NAGRA to further develop its SIM racing program in theaters through the myCinema platform & ecosystem. 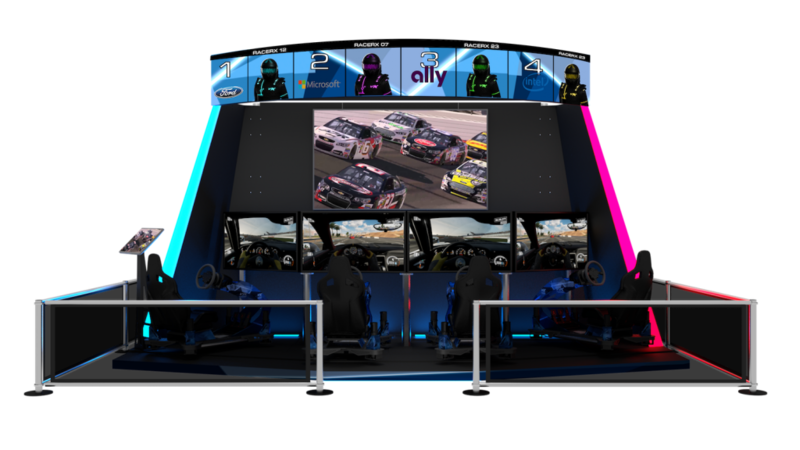 This in-venue, community focused eSports program extends VRX’ growing SIM and racing platform presence supporting eSport and Motorsport market convergence and growth. This co-innovation will expand eSports exhibition to local communities at a scale not currently in the market. As gaming’s transformation to competitive eSports continues to gain momentum, and most research confirms hyper-growth will continue for the foreseeable future it bodes well for the partnership and for the exhibition market. Viewership has already surpassed some professional sports on a viewer-by-event basis and major brands, sponsors and leagues are waking up to new realities and opportunities to reach new audiences, now including the UberScreen. While the eSports market is typically disconnected from real sports engagement the VRX award winning engineering, technology and platform brings connected and immersive entertainment to neighborhoods and communities across North America and to audiences worldwide. VRX is bringing new opportunities to Sponsors, players, drivers, manufacturers and brands throughout the gaming value chain. Stay tuned for more news from VRX and NAGRA at E3 where we will continue our progress for where eSports meets Motorsports through unique, theatrical exhibition. Since 1999, VRX has designed and built the world's most advanced and immersive simulation products for home, commercial, and industrial applications. Our motto has always been: "if you can dream it, we can build it."